You’re driving your car, minding your own business, when suddenly, you hear the sound that every driver dreads: the piercing, warbling wail of a police siren. Hesitantly, you force yourself to look into the rearview mirror. Maybe, just maybe, the siren is meant for someone else, and the patrol car just needs to get around you. But no, your fears are confirmed, and you soon find yourself stopped at the side of the road, nervously awaiting whatever warning, reprimand, or punishment is in store. While the occasional traffic stop is something almost every driver experiences at some point or another, and are generally very mundane and uneventful, recent events have brought the issue of driver rights to the forefront of public consciousness. The tragedy of the 2015 traffic arrest, and subsequent suicide, of 28-year old Sandra Bland illustrates the need for a better understanding of the rights and responsibilities of Texas motorists who are stopped for traffic violations. After all, as United States citizens, motorists’ right are protected by law. That being said, aggressively and disrespectfully exercising those rights can lead to more trouble than you probably want to deal with during your daily commute. So, in an effort to make sure that those unexpected traffic stops go as smoothly and safely as possible, here’s Defensive Driving’s guide to the rights of Texas motorists during a traffic stop. Although you may have heard that it’s unlawful for a police officer to pull someone over without probable cause, this is actually a myth. The reality is that an officer only needs reasonable suspicion in order to lawfully initiate a traffic stop. And although reasonable suspicion is difficult to define (despite the best efforts of the supreme court), the basic reality is that if a police officer suspects you of something, then it’s perfectly lawful for the officer to pull you over. However, reasonable suspicion traffic stops should be temporary in nature, lasting no longer than the few minutes it should take for the officer to briefly investigate the issue. If, however, during the stop the officer notice evidence of a crime (such as seeing or smelling illegal substances in the vehicle), then the issue of probable cause comes into play. In most cases, for an officer to be able to perform a search on private property (such as your vehicle), they need to acquire a lawful warrant. That being said, if the officer has probable cause to believe that a crime is being committed, then they can perform a search without a warrant. 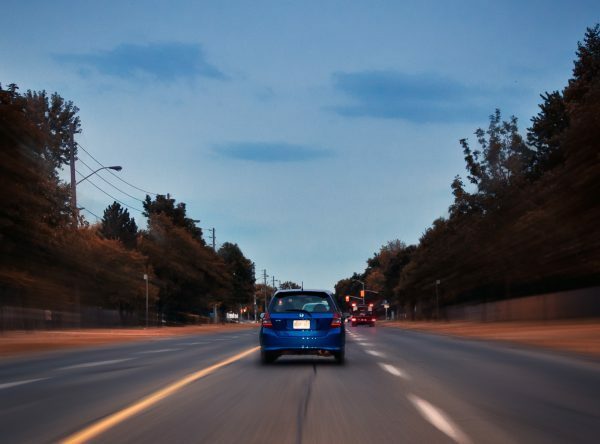 Be aware that probable cause can relate to even the most minor of traffic infractions, including failing to signal a lane change, or even driving with a broken taillight. Upon first pulling you over, an officer will likely ask you for your driver’s license, proof of insurance, and vehicle registration, which you are required by law to provide. Beyond that, you are not required to answer any investigative question (such as “Where are you going?”) that the officer asks. Police officers are authorized to defend themselves in the event that they feel they are in danger. As such, it is your responsibility to show proof of any weapon licenses or concealed-weapon permits as a way of disclosing the presence of any weapons in the vehicle. You may also want to let the officer know where any weapons are located in the vehicle, so that the officer doesn’t catch sight of one unexpectedly (such as when you are opening your glove box), and have to react to the possibility that you might be hostile. Although it’s never a good idea to be confrontational or rude with police officers, arguing with an officer is not a crime. On the other hand, if you take it too far, the officer may be that much more inclined to charge you with something that is a crime, such as disorderly conduct or threat of assault. In most traffic stops, the office will prefer that you remain seated in the car, with your hands visible on the steering wheel. However, in certain circumstances, the officer may request that you step out of the car. When this happens, you are required by law to comply. However, the office still needs either a warrant or probable cause before conducting a search of your person or your vehicle. Breathalyzer (breath-alcohol) and blood draw tests are used to determine blood-alcohol content (BAC) in drivers suspected of driving while intoxicated. In Texas, you have the right to refuse to take these tests, but doing so seldom has any advantages. The officer will have you sign a statement indicating that you understand the consequences of refusing to take a BAC test, and evidence of your refusal can be used in court to help establish your guilt. Additionally, your license will be automatically suspended. There are some exceptions to your right to refuse a BAC test; In incidents where you may have been involved in an incident where someone has been seriously injured or killed, or if you have prior DWI or DUI convictions, the officer may be able to force you take a BAC test. If you want to record the traffic stop on a personal video recording device, you have that right. Still, doing so may escalate an already tense situation. Remember that the officer has the authority to interpret the situation as they see it, and to react accordingly. Disrespectfully shoving a camera in the officer’s face might not land you in prison, but it may very well use up whatever goodwill the officer has, leading them to be less forgiving of minor infractions. If you feel the need to record the incident for your own safety, respectfully inform the officer that you are doing so—an unfamiliar handheld device can easily be mistaken for a weapon when unexpected pointed at someone. The best way to avoid unpleasant run-ins with the law is to drive safely and responsibly. Learning driving techniques, like those taught through defensive driving courses (such as Defensive Driving, El Paso TX), can help you become the kind of driver who seldom has to worry about traffic stops. Still, when traffic stops do occur, one of the most important things to remember is that, generally speaking, choosing to comply with reasonable officer-requests will almost always result in a better outcome for everyone involved. If you feel as though your rights are being violated, respectfully and non-threateningly ask the officer to respect those rights. However, if the officer continues to force the issue, do what you can to keep the situation from escalating. After all, fighting the officer later, in court, is a much safer plan than attempting to resist them during a traffic stop.